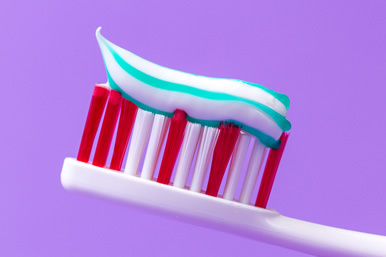 Is toothpaste causing your kidney stones? The answer might surprise you. Is toothpaste causing your kidney stones? The answer might surprise you…. Are you prone to kidney stones? If not I’ll bet you know someone who is. They are extremely common. Every year, Americans make more than a million visits to the doctor for kidney stones. And more than 300,000 end up in the emergency room. What could be causing all these kidney stones? One study, unbelievably enough, points to your toothpaste and drinking water as possible causes.For years doctors have known of a relationship between taking too much fluoride and getting kidney stones. Most of the studies have shown this connection, but they have not all agreed. One study even showed that higher levels of fluoride in the urine resulted in a decreased chance of getting a kidney stone. A more recent study, however, has some alarming data indicating that the more fluoride you take in, the greater your chance of getting a kidney stone. The researchers looked at the blood and urine levels of fluoride in 100 men and women with kidney stones and compared them with healthy people without kidney stones. In addition, they measured the amount of fluoride that was in the kidney stones of the stone formers. They also measured the concentration of fluoride in the drinking water of both groups. And finally, they measured the levels of oxalate in the blood and urine of both groups. Here are the amazing results they found. The association between the amounts of fluoride in both groups and the formation of kidney stones was dramatic. Stone formers had twice the amount of fluoride in their urine, two and a half times more fluoride in their drinking water, and an astounding 45 times more fluoride in their blood than the no stone group. They also reported that the level of fluoride in the blood, urine, and stones was directly related. That means that the people with the highest amount of fluoride in their blood and urine also had the highest amount in their kidney stones. The results were so strong that the researchers stated, “These results indicate a definite role of fluoride in urinary stone formation.” But how can fluoride cause kidney stones? The authors offered an answer. They noted that the patients who had the kidney stones had much higher levels of oxalate in their blood and urine than the healthy group. A high level of oxalate is the most common cause of kidney stones. Most doctors, including me, have thought that all this oxalate comes from the diet since most vegetables contain a lot of oxalate. But there may be much more to the story than just that. The authors point out that normally the oxalate that we eat combines with calcium in the meal to form calcium oxalate. Since your body can’t absorb calcium oxalate, it goes out in your bowel movement. This prevents much of the oxalate from moving into the blood and ultimately ending up in the urine to make a kidney stone. However, when we ingest fluoride, it has a much stronger attraction to calcium than oxalate does. So instead of the calcium binding with the oxalate and preventing its absorption, it will bind with the fluoride to form calcium fluoride. This leaves the oxalate free to be absorbed into the blood and can explain why the stone formers had such high levels of oxalate in their blood and urine compared to the healthy group.Let’s face it — fluoride is not good for you anyway you look at it. High levels of ingested fluoride can cause brain dysfunction, decreased IQ in children, early puberty, low thyroid function, bone defects in children, fractured hips in adults, and dental fluorosis. Now we have another reason to limit our exposure. Anyone who has had a kidney stone, especially if it was a calcium oxalate stone, should be careful to limit their intake of fluoride.By far and away the most significant amounts of fluoride that we get in our diets come from processed foods and from fluoridated water and the various drinks made from fluoridated water. This includes bottled water, spring water, sodas, sports drinks, and beer. These two sources account for over 95% of the fluoride we get. The other 5% comes from toothpaste and mouth rinses. So to limit your exposure, avoid processed foods, filter all the water you drink, and only use bottled water that is labeled either distilled or purified. As an additional precaution, make sure that you are not taking a multivitamin that contains fluoride. Amazingly, some of them do. Rathee N, Garg P, Pundir CS. Correlative study of fluoride content in urine, serum and urinary calculi. Indian J Clin Biochem. 2004 Jul;19(2):100-2.